DUBLIN’S NEWLY-ELECTED Lord Mayor says a mayor with real executive powers is needed in order to help Dublin compete with other European cities of a similar size. Labour’s Oisín Quinn – who was elected to the Mansion House last month – is tonight chairing the first meeting of the body set-up to explore options for the the future of the mayorship. The working group – comprised of the mayors of the four Dublin local authorities and four elected members of each council – will examine various proposals over a series of meetings, before compiling its final report. It’s planned proposals for a directly-elected CEO of the city will be put to the people of Dublin in a vote to take place in May of next year – coinciding with the local and European elections. Councillor Quinn says he’s encouraged by research carried out by Dublin City Council, which shows 61 per cent of people would be favour of an enhanced role for the mayor. Just 14 per cent of the 1,200 people surveyed said they would be against the changes, with the majority of those citing cost as the main concern. The working group is set to hold three more meetings after tonight, and will present their preferred proposals to Minister for Local Government Phil Hogan at the end of the year. A period of public consultation will take place in the autumn, to include a ‘town hall’ style meeting at the Mansion House in October. Quinn says everyone who is registered to vote in the local elections will be entitled to have their say in next year’s ballot – and that it’s likely Dubliners will be given a ‘yes or no’ option on whether they support the proposals, once they are agreed by Government. If all that goes to plan – any actual vote on who will fill the newly-created role is unlikely to happen before 2019, Quinn says, as it will take some time to devolve the necessary budgetary powers from government departments and various other state agencies. Asked whether he would consider throwing his hat into the ring for the contest – if and when it takes place – Quinn said he felt it was “too soon” for him to think about it. 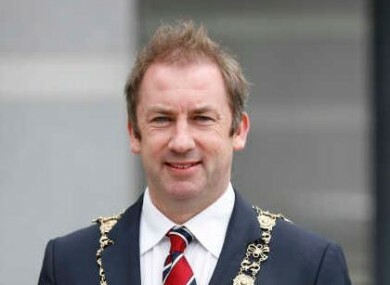 Email “Lord Mayor: Dublin needs a mayor with 'real powers', but role unlikely before 2019”. Feedback on “Lord Mayor: Dublin needs a mayor with 'real powers', but role unlikely before 2019”.